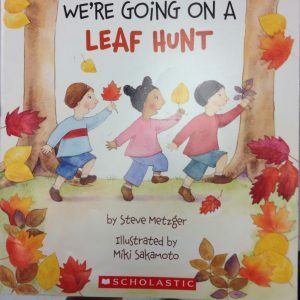 My students loved going on a leaf walk! This is a great activity to get the extra wiggles out at this time of the year, especially if you do it a day or two after Halloween! These are a few of the books that I read before we went out. 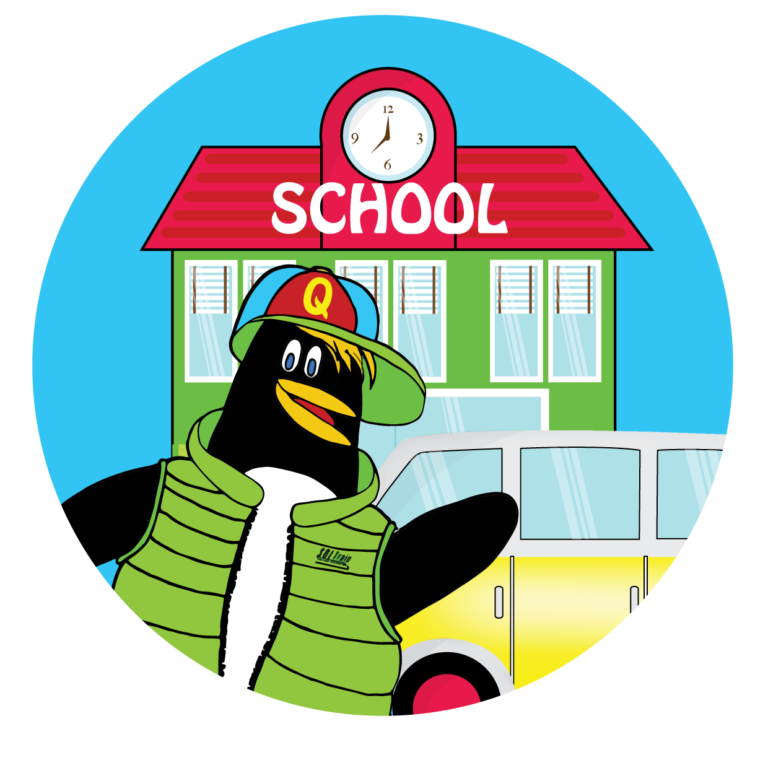 I also use this book: My students are learning numerous phonetic elements, using these books, as well as great vocabulary, and they love pulling them out of their book baskets and practicing them. I also hear them singing the song. I put the page with the words on it in their poetry notebooks, which is very helpful to them because we highlight all the fall words. You can get it for 50% for a limited time! 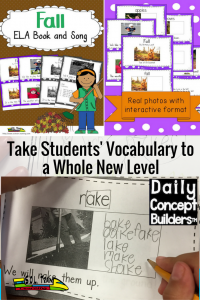 Check out all our Daily Concept Builders if you like teaching science and social studies while you are teaching reading, writing and phonics. 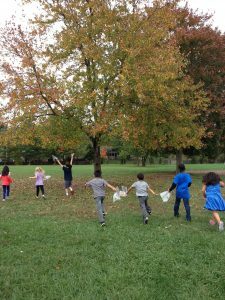 You can see how excited my students were to collect their own leaves! I gave them a gallon sized bag to put their leaves in. This little guy wanted to show me all the colors that were in one of his leaves. 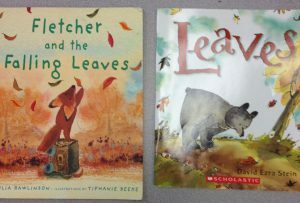 I instructed my students to take their leaves out of their bags and choose a few for their leaf rubbings. 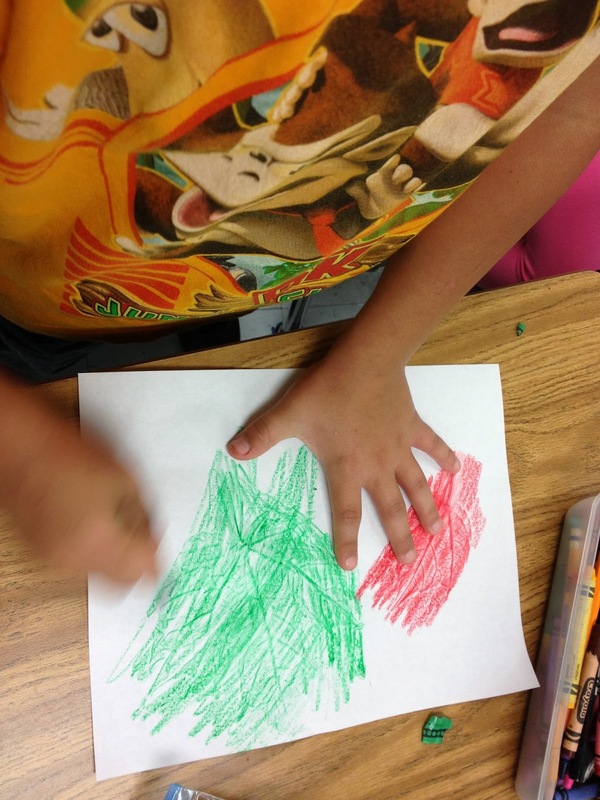 For those of you who may not have done this before, have your students place a piece of white paper over a leaf and rub over it with a crayon. 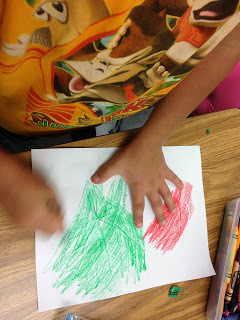 My students were so cute when they said that it was like magic when they saw their leaf prints come alive! 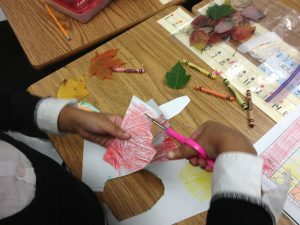 Next, the students cut all their leaf prints out. Then I instructed them to make a fall picture of all their cut out leaves. 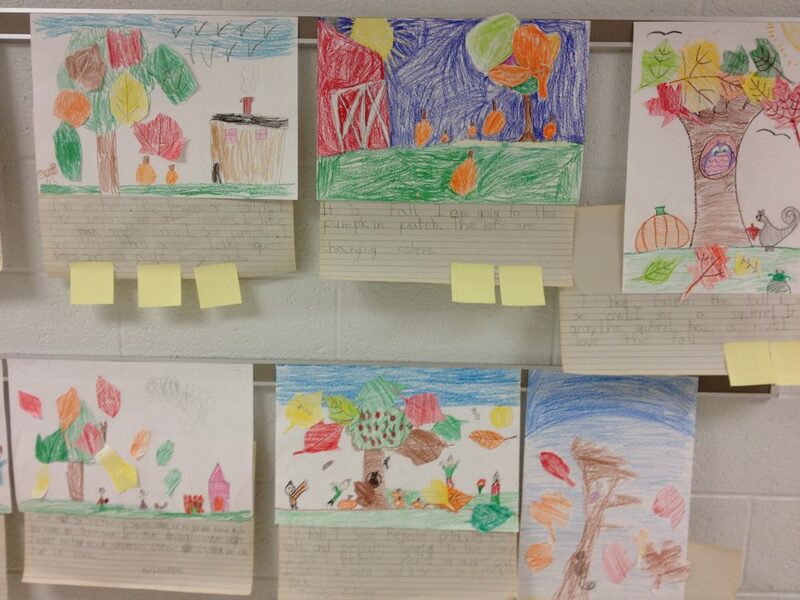 The next day they wrote about their fall pictures. They turned out great! 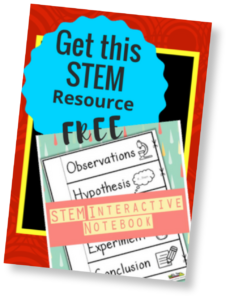 The sticky notes are just covering up my students’ names. They made such a nice hall display! We received many compliments on them! 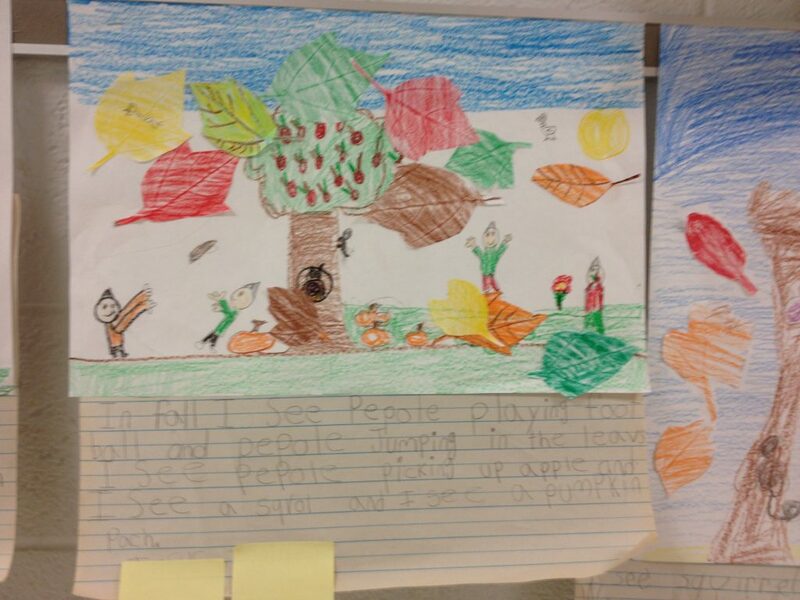 We also graphed our leaves. I told the students to choose 10 leaves to graph. 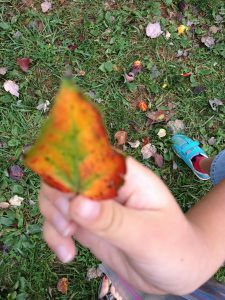 Some of the leaves were more than one color, so I just told my students to choose the color that they thought the leaf had more of. I Want the Leaf Graph! 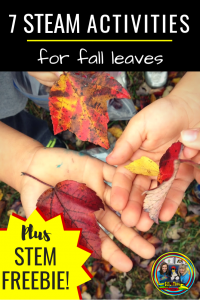 If you would like to read about some great STEAM leaf activities, click on the picture below. 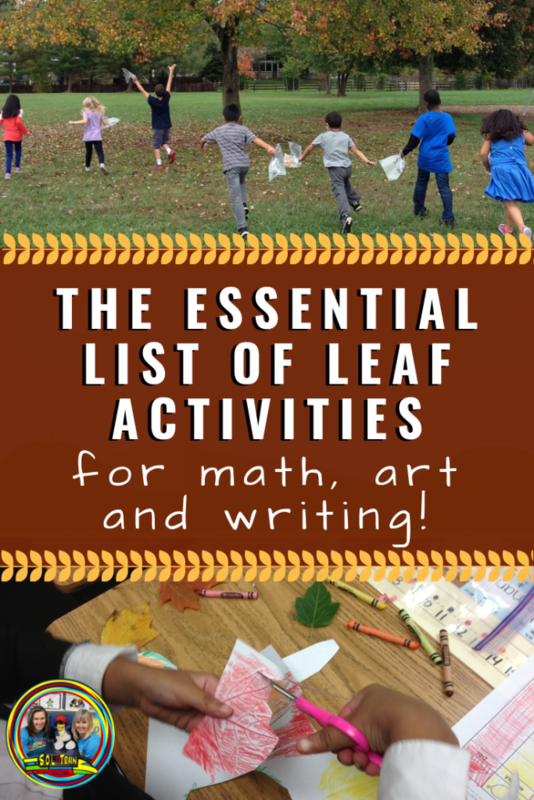 I hope that your students will enjoy their leaf walk and these fun activities! Be sure to grab your free leaf graph.